Stronger-than-expected U.K. jobs data out on Wednesday quashed fears of a post-Brexit meltdown in the country’s labor market, and cemented expectations the Bank of England will sit on its hands at its policy meeting on Thursday. The unemployment rate for the three months through July—the first full month following the June 23 referendum—fell to 4.9% from 5% the previous three months versus forecasts of a 5% reading. Additionally, the number of people in work rose to a record 31.8 million. “Combined with other upbeat economic data, the Bank of England looks almost certain to leave rates on hold when it announces its monetary policy decision tomorrow. 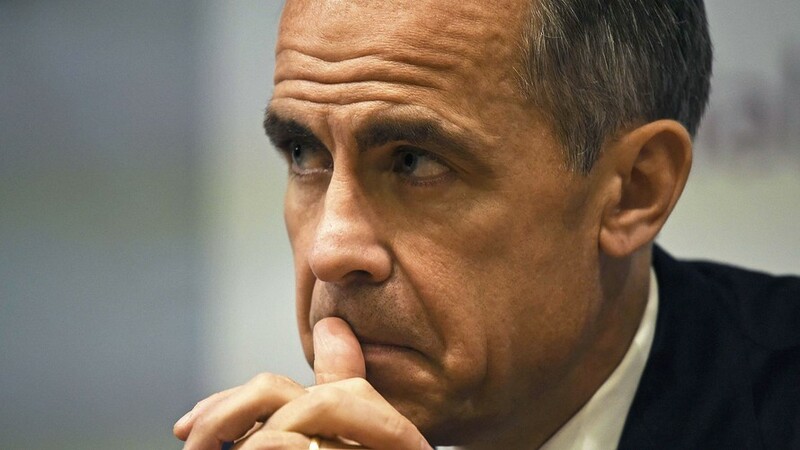 [BOE Governor] Mark Carney’s serenity looks justified at the moment and the MPC can afford to wait,” said Neil Wilson, markets analyst at ETX Capital, in a note on Wednesday. Attention will instead turn to the minutes from the meeting, which will be released at the same time as the policy decision. Traders will likely pore over the minutes looking for clues as to whether more easing will come in November or December. EU chief says bloc will withstand effect of Brexit In his State of the Union address on Wednesday, European Commission President Claude Juncker said Brexit wouldn't mean the breakup of the European Union. The central bank went all out with easing measures at its August meeting, cutting interest rates to a record low of 0.25%, restarting its quantitative easing, or QE, program, offering ultracheap loans to banks and launching a corporate bond-buying program. The aggressive stimulus plan came after a string of weak data following the Brexit vote, which had triggered fears the U.K. economy would fall into a near-term recession. Carney at that time signaled further rate cuts and additional easing measures could be deployed if needed to cushion the blow. However, recent data, including Wednesday’s unemployment number, have shown an economic armageddon largely has been kept at bay. “While they did hint at further action—including another rate cut by the end of the year—we expect the [Monetary Policy Committee] to take the next couple of months to take stock of the post-referendum data, and the impact of the August policy changes,” analysts at HSBC said in a note. “Indeed, if anything, the data have been a bit stronger than expected since the August meeting—both the PMIs and consumer confidence have bounced,” they added. One important data set, however, didn’t fare as well as forecast—inflation. Consumer prices rose 0.6% in August, missing forecasts of a 0.7% rise and remaining well below the BOE’s target of 2%. Consistently low inflation is one of the key reasons the central bank hasn’t raised interest rates in recent years, even as the U.K. economy has been among fastest-growing Western nations. Analysts had expected inflation to pick up in August as the sharp slide in the pound GBPUSD, +0.1813% following the Brexit vote makes imported goods more expensive for British buyers. “Despite [Tuesday’s] modest downside surprise, we remain unshaken in our belief that inflation is on its way up,” said Philip Shaw, chief economist at Investec, in a note. Shaw expects the nine-member MPC to vote unanimously for keeping the benchmark rate at 0.25% and the gilt purchase program at £435 billion ($573 billion). The rate decision and minutes from the meeting are both due at noon, London time, on Thursday, or 7 a.m. Eastern Time.